Hygiene Supplies are specifically important in all businesses, especially those in the Wigston, Leicestershire areas. The cleanliness of your Wigston washroom reflects on the overall appearance of the business, how it takes care of its employees and all elements of health and safety. 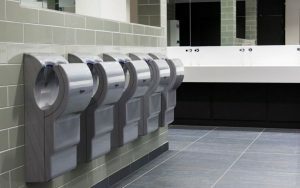 You can find Hygienic Concepts in washrooms across the UK and in Wigston and surrounding Leicestershire areas, whether it is servicing the washroom and water coolers, or delivering cleaning and consumable supplies. We want your business to have the best quality Hygiene Supplies in the industry which is why we only stock the finest equipment from our coordinating and contemporary range of dispensers, appearance retaining floor matting, hygienic water coolers to our new and exclusive environmentally friendly cleaning range. At Hygienic Concepts we pride ourselves on our service, quality and experience along with our competitive prices. With over 100 years experience within the Hygiene Supplies industry, all our staff are trained not only on their specific field, but in the business as a whole. 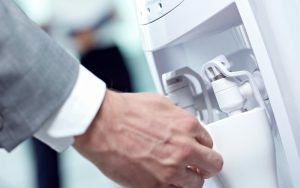 We offer free onsite surveys in Leicestershire areas so we can recommend what appliances would best suit your washroom requirements. Any size organisation, anywhere in Leicestershire, Hygienic Concepts are here to help you with all your cleaning requirements! 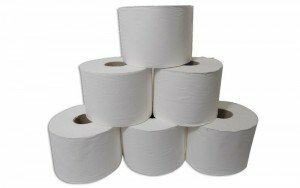 From our top selling Jumbo Rolls, to individual packs of 100, we have all the paper products you could need! Suitable for all environments, from domestic to commercial to industrial. Contact us or buy online today! Keep your washrooms smelling fresh and clean with our low maintenance air freshening systems. Built to last and requiring virtually no work, talk to us today about how we can get your washrooms up to scratch! Janitorial supplies delivered straight to your door with our prompt and speedy dispatch and delivery service! 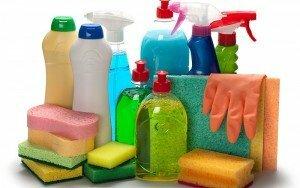 All everyday cleaning items, paper products and other replenishments provided online or over the phone. Our Uri-Bug system is a urinal bio-sleeve system, taking good bacteria to break down elements within the urine to stop the clogging up of pipework. 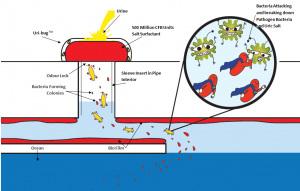 New technology is bringing efficiency to the hygiene environment! Instant hot and chilled water supplied at the flick of a switch with hygienic concepts water cooler systems. With UK nationwide support and delivery, simply talk to us today or order online! Hygienic Concepts low energy yet high performance hand drying systems are the perfect solution to those irritating weak hand driers! Find out more by talking to us today. 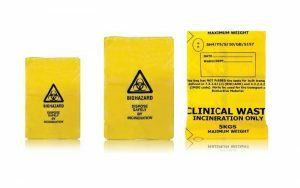 All your hazardous and non-hazardous waste is easily and safely taken care of with our waste disposal service! We even give a Duty of Care Certificate to ensure you comply with UK law fully. 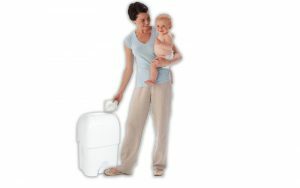 Hygienic Concepts will take care of your nappy disposal requirements and provide a great service to help you keep clean and safe when dealing with these items. We look after multiple sites in the Leicestershire area and we always offer a personal and professional service to everyone, whatever their size and requirements. 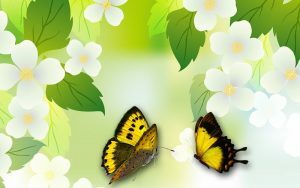 We take customer service seriously and as well as our friendly approach we run sophisticated computer systems to guarantee that you are looked after in a professional manner. The Platinum service schedule is a full record of service details carried out each month. This duplicate document is signed by both you, the customer, and the Hygienic Concepts operative and a copy retained by both parties to provide a complete and comprehensive site visit audit trail. Call Now for FREE about Hygiene Services! Established in 2004, Hygienic Concepts now services and distributes to Wigston, Leicestershire and countries all over the United Kingdom. At Hygienic Concepts we pride ourselves on looking after our customers. This is a competitive industry of Hygiene Supplies that often feels dominated by some of the multi-nationals, but we try and do something different, and with a 99.7% customer retention rate it must be working! We have more than 100 years experience in the Hygiene Supplies industry with high knowledgeable professionals to help you; this means your call will be redirected to an experienced colleague who will deliver high standards of customer service placing you first no matter what. We have a high variety range of Hygiene Supplies that would suit customers at their convenience. We are one of the only companies who can and supply washroom/janitorial and water cooler products in one invoice. We work mainly with UK suppliers, helping economy growth in our own country. Moving or starting with us means you will be helping with this important task, while minimising your own carbon footprint.